I currently have an auction going on eBay for a lot of vintage buttons still on cards. In my many visits to estate sales, I ran across one woman’s home that was just packed with crafting materials including tons of buttons, many still on their original cards. It’s tough to determine how old some of them actually are, although they show the normal yellowing of age and some have price tags of as little as ten cents! So here are photos of the cards, sorted by their manufacturer. Some of the brands even show how the design of the logo has changed over time. If you want to check out the auction, which ends in about three days (May 12, 201208:24:49 PDT) here. I chose some of the cards to add to my collection, but it is fast becoming almost too much. This is the display that I have in my sewing room. I seem to have a little of everything these days. 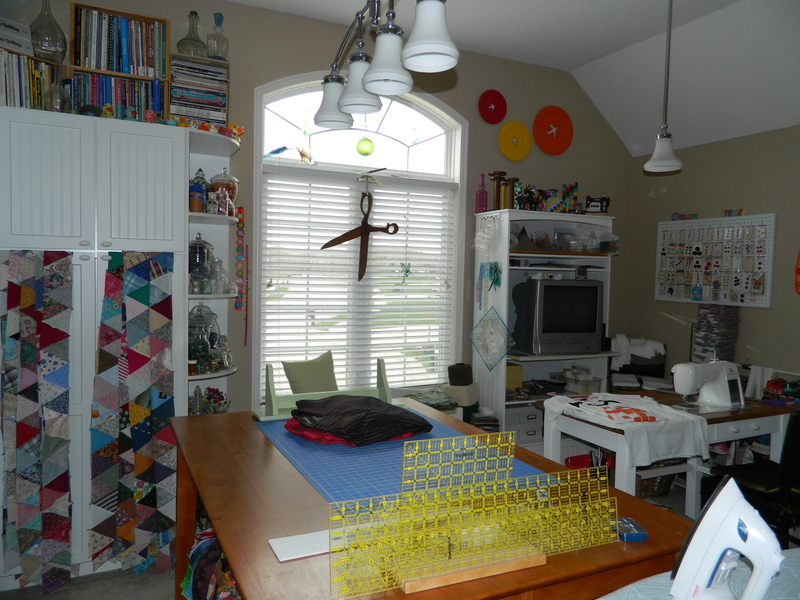 I need to take some really good photos of my sewing/crafting room. It’s nearly perfect for everything that I like to do. I spend a lot of time there and really enjoy it. I think I have enough projects planned and enough supplies in the room to outlive me, for sure. Happy crafting, y’all! Come back soon.